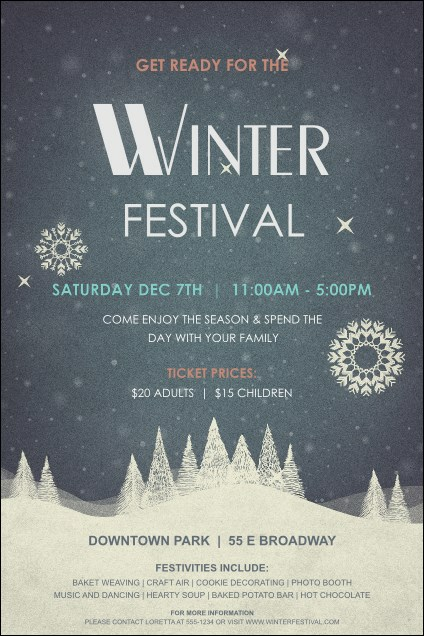 Promote the most wonderful time of the year when you post the Winter Poster before your event. This lovely poster template includes fourteen lines for all your event details, and the design includes intricate snowflakes falling on a peaceful countryside. Coordinate your promotions with a Matching Event Kit! Bring out the best of the season with the right poster from TicketPrinting.com.